The home buying process is a little different for each home and each buyer, but in general there are 10 Steps most real estate transactions go through from the very beginning of the process to the closing. Let’s take a look at the 1st Step in some detail. This should be a full time job for your Realtor. You are looking for someone who is up-to-date on what is happening in the market and the profession. You want them to be familiar with the neighborhoods you are considering. Some agents can truly serve a large swath of territory, but most agents stick to more defined location. Make sure your agent has knows the area. Ask about agent fees and how she gets paid. Typically the buyer’s agent’s is paid by the seller, using the proceeds from the purchase of the house, and it’s not unusual for that commission amount to be 2-3% of the sales price. The commission amount is set by the seller and will vary from home to home. It’s important that you know what your agent’s commission is for any home you are considering. You don’t want any lingering doubts that an agent pressured you about a home based on the possibility of a higher commission. In addition, any transaction fees, brokerage fees, administrative fees, etc, that you will potentially be asked to pay need to be discussed ahead of time. 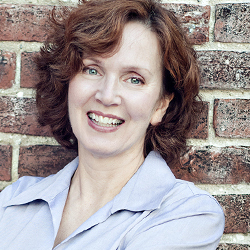 Not all agents charge their clients these extra fees which can run into hundreds of dollars. You can ask that those extra fees be waived, and you can refuse to pay them, and no, I don’t charge my clients these junk fees. Careful. She’ll talk real estate until your ears fall off. Make sure you understand at what point in time you are committed to working with a particular agent. Sometimes that would be when you sign a Buyer Broker Agreement, but often that commitment happens when an agent shows you a home. Make sure you understand your obligation to the agent before you go looking at homes. This is one reason it’s useful to find one agent and use them exclusively to help you through the entire process. Ask about their experience with different types of transactions- is your agent familiar with bank foreclosures, short sales, 203k loans, estate sales, as well as the more traditional homeowner sale? Each type of sale comes with its own road map and negotiation strategy and a savvy agent can help you navigate each with maximum benefits and minimum pitfalls. And understand your agent’s relationship with anyone else she recommends. Does she work with a team? How do you get handed off during the process? Does she have an affiliate relationship with any title companies, inspectors, lenders? Make sure she is transparent about any and all relationships you will be dealing with throughout the transaction. Also make sure you understand your Realtor’s fiduciary duty in your transaction. Is she a dual agent? Ohio is a dual agency state, but maybe you are not comfortable with it, or, maybe you would be comfortable if your agent reduced her commission accordingly. Any hesitancy to discuss fiduciary duties and agency relationships should send up a red flag. In the end, you must have trust. You should have no doubt that your Realtor is working in YOUR best interest, not her own. Want to find out more?  Give me a call- 937-478-7781 or email Teri@TheBrickRanch.com and I will be happy to discuss this stuff until your ears drop off!